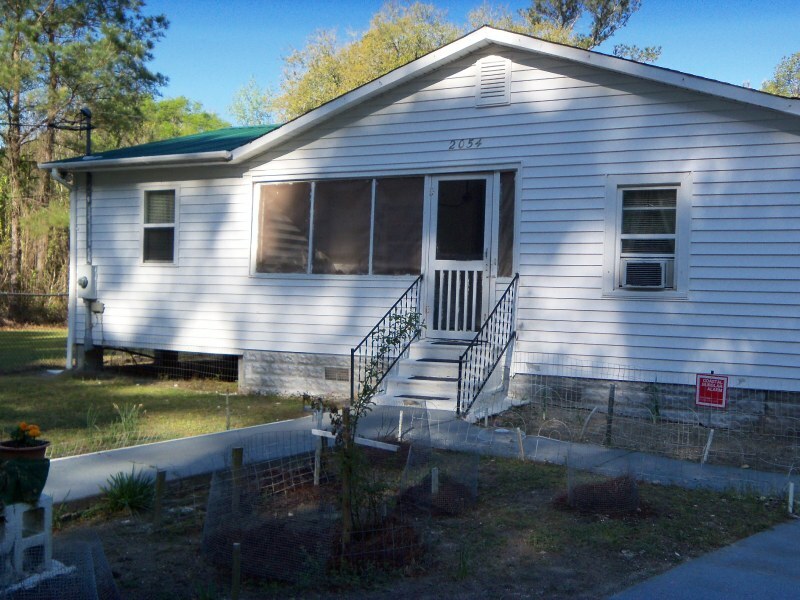 Ms. Robinson’s Ramp – Sometimes It Takes a Village! 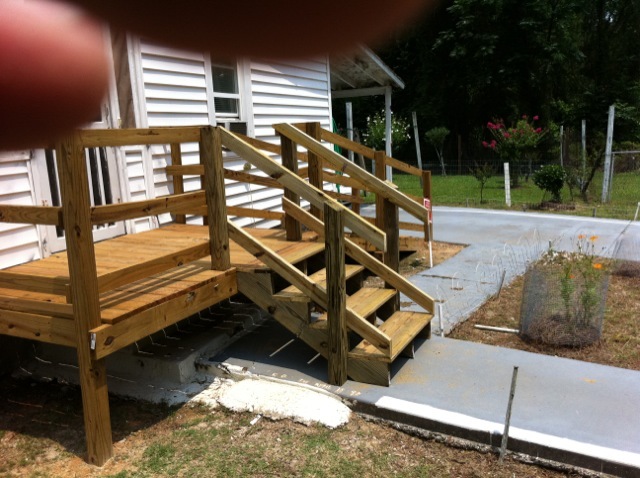 Referred by South Santee Community Center, Ms. Robinson is an elderly woman who desperately needed a ramp to gain access in and out of her home. Only she and her sister lived in the house they called home for over 50 years in McClellanville. In poor health and suffering from severe arthritis; Ms. Robinson’s sister could no longer maneuver her in and out of the home, causing her to miss necessary medical appointments. 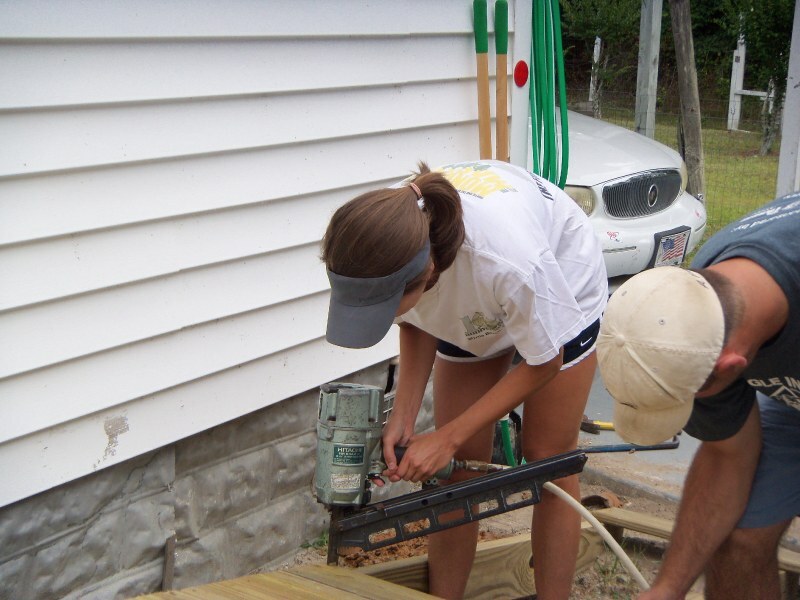 Fortunately,Carolina Capital Management offered to coordinate their employees to participate in building the ramp. 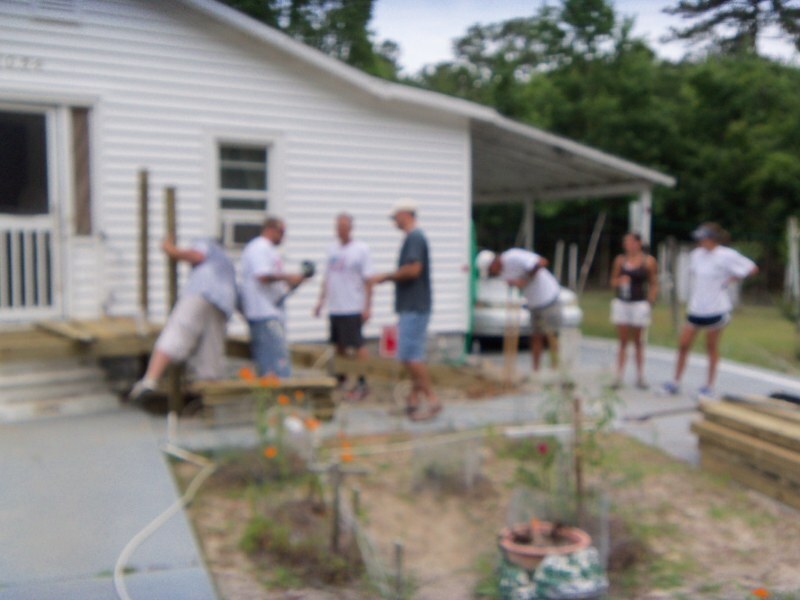 Operation Home scoped the site, purchased materials for the ramp construction, and hired an onsite construction supervisor to help coordinate and oversee the volunteers from Carolina Capital Management. 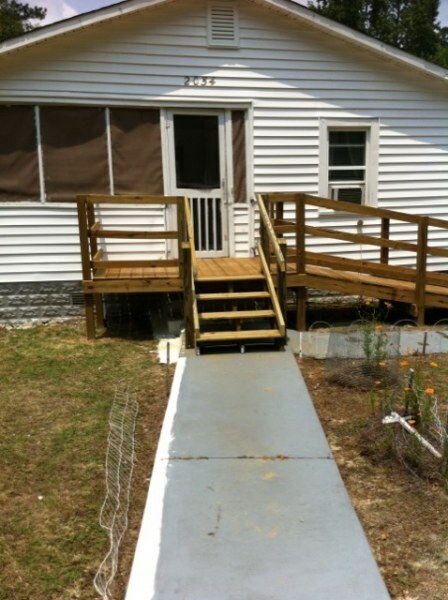 Today, Ms. Robinson has a beautiful new ramp and can safely enter and exit her home thanks to the many donations to Operation Home which enabled us to provide the materials and construction supervisor and thanks to the donated labor provided by the wonderful employees of Carolina Capital Management.